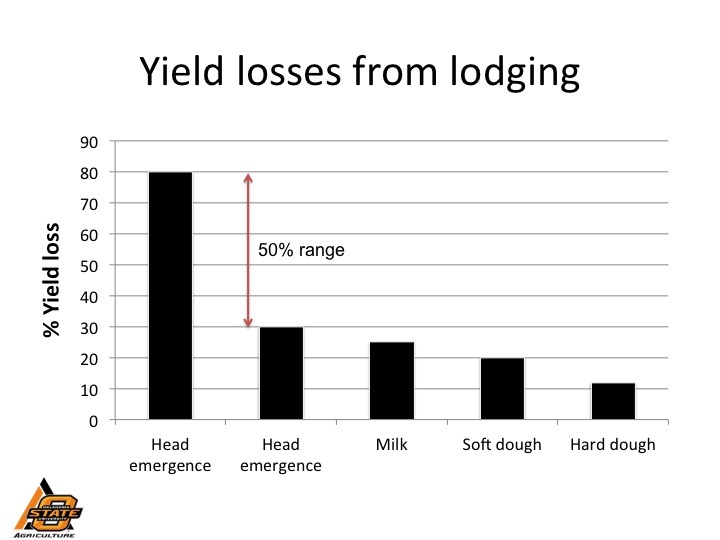 First hollow stem is the optimal time to remove cattle from wheat pasture (full explanation). 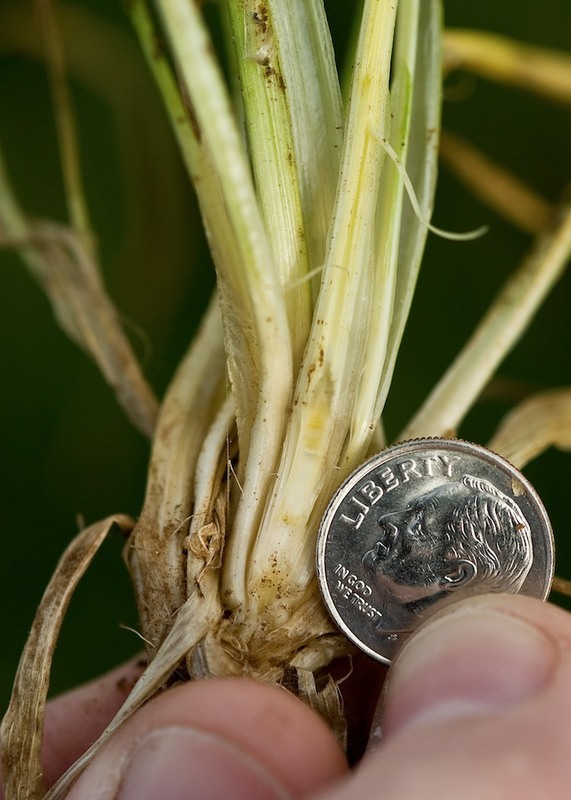 To monitor first hollow stem, we measure hollow stem for the 56 lines in our September-sown wheat forage plots at Stillwater each year. In spite of the recent cold snap many varieties are progressing towards first hollow stem. 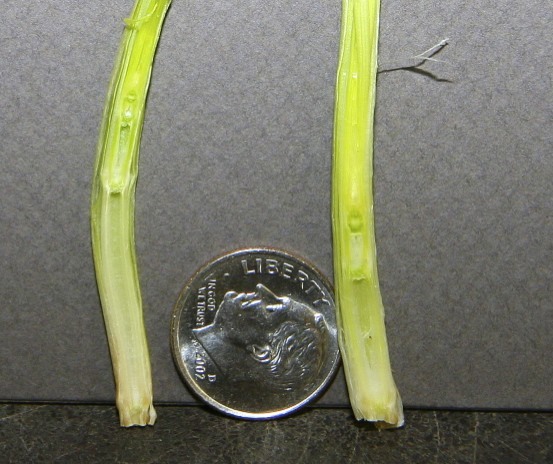 The small grains extension crew split ten stems from lines tested in our program today and Gallagher, Everest, Jackpot, Winterhawk, T153, T154, LCS Pistol, and TAM 112 join the list of varieties at or past first hollow stem. Full results are posted in the table below. We will take another set of measurements the first of next week and report the results on this blog. 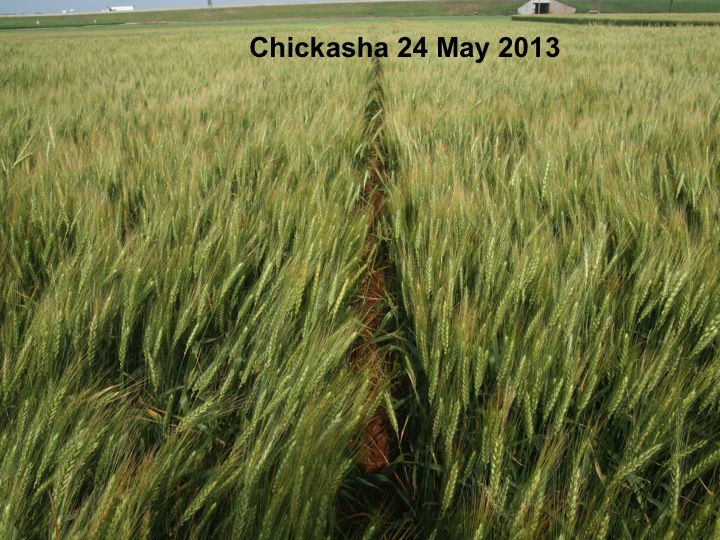 First hollow stem measured in wheat sown 09/16/2014 at Stillwater, OK. Varieties in red are at or past first hollow stem. 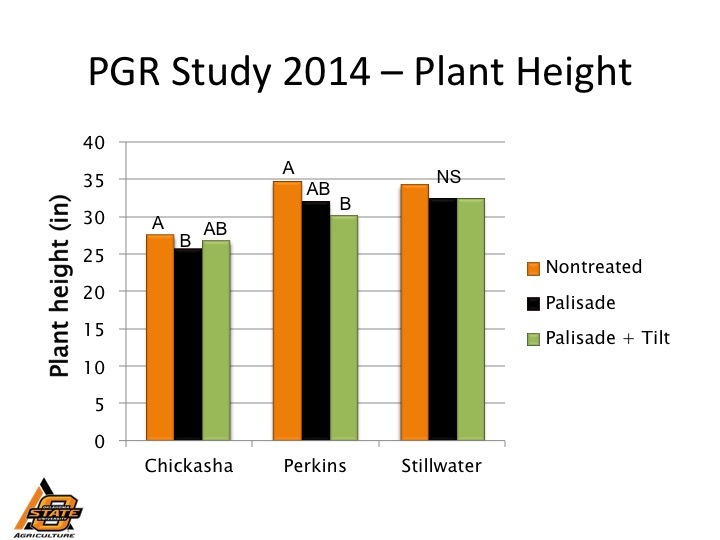 Spring-planted oat has been a “go to” forage crop for southern Great Plains beef producers for years. It is a good option when winter wheat was not planted in the fall due to wet conditions, or, as is the case this year, when wheat failed to emerge due to drought. 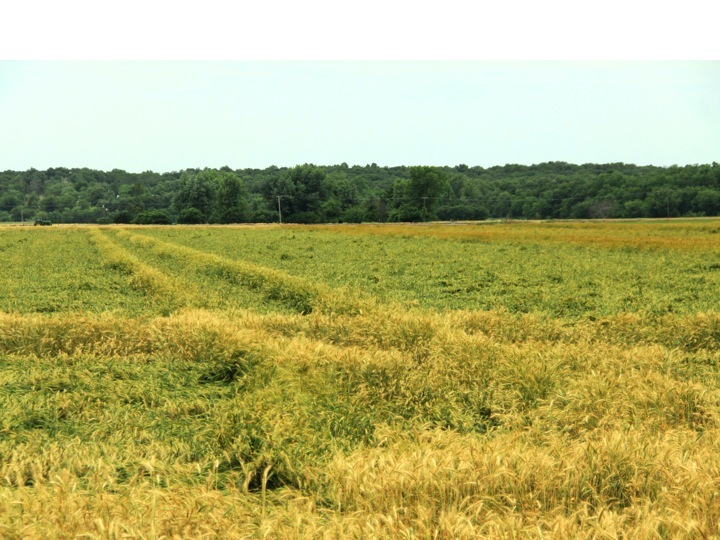 Forage production potential for spring-planted oat is around 1,500 to 2,00 lb/ac, but you will need about 60 – 75 lb/ac of nitrogen to make this type of yield. 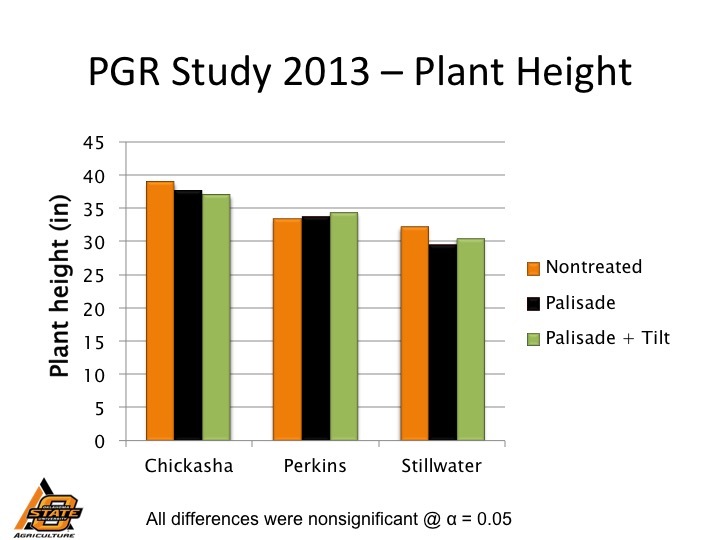 A fact sheet detailing spring oat production for hay can be found at www.wheat.okstate.edu. I will provide the Cliff’s Notes version below. 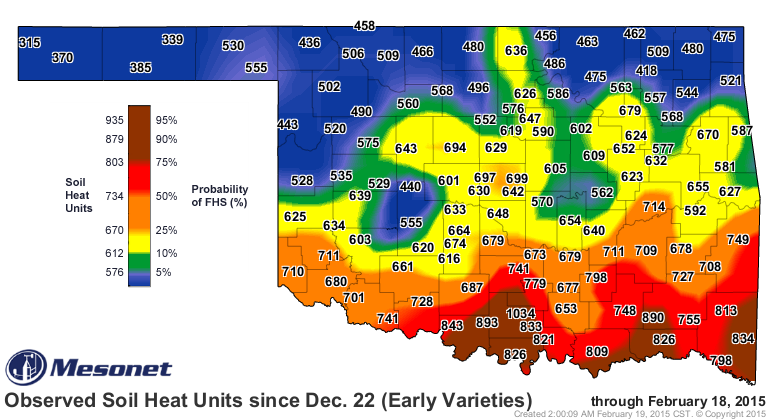 Oklahoma: Reports of diseases in Oklahoma have been sparse (as expected for this time of year) but certainly more numerous than last year when drought curtailed foliar diseases. 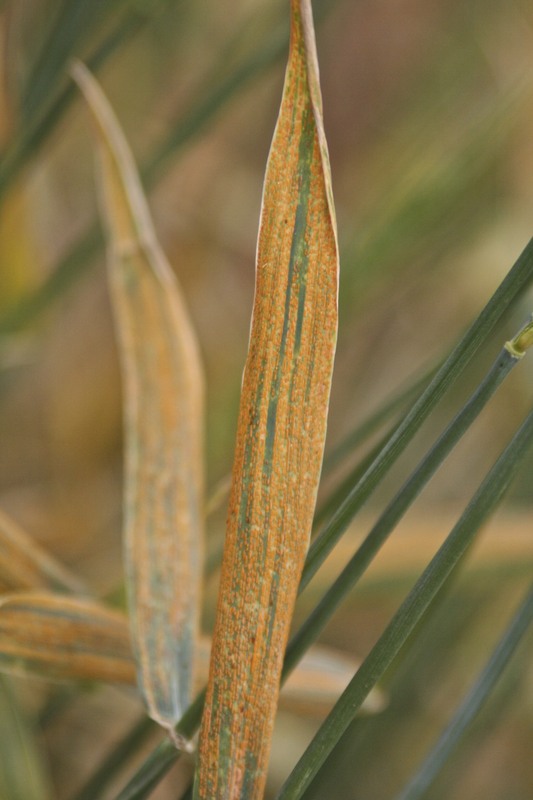 Yesterday (10-Feb) I found wheat leaf rust at a low, but consistent level in guard strips of Jagalene planted around a large wheat breeder nursery here in Stillwater. 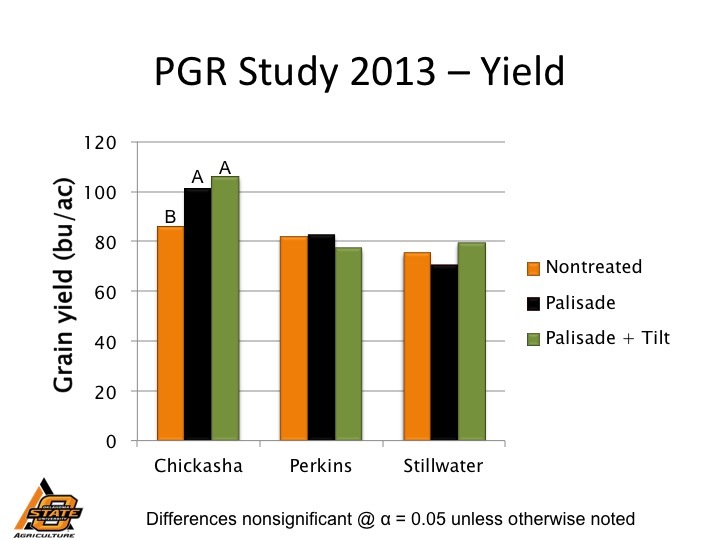 Susceptible-type pustules were on lower leaves at 15-25%. 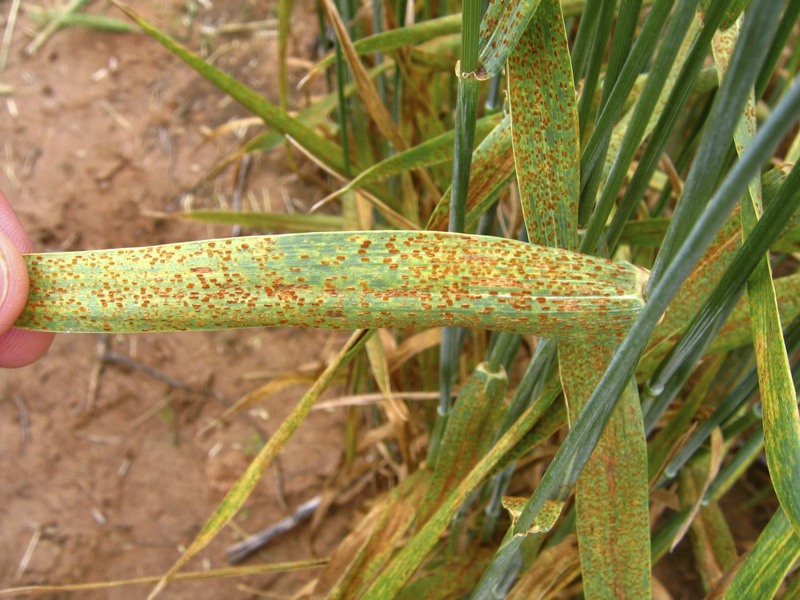 As temperature increases and with moisture this rust will increase and spread. 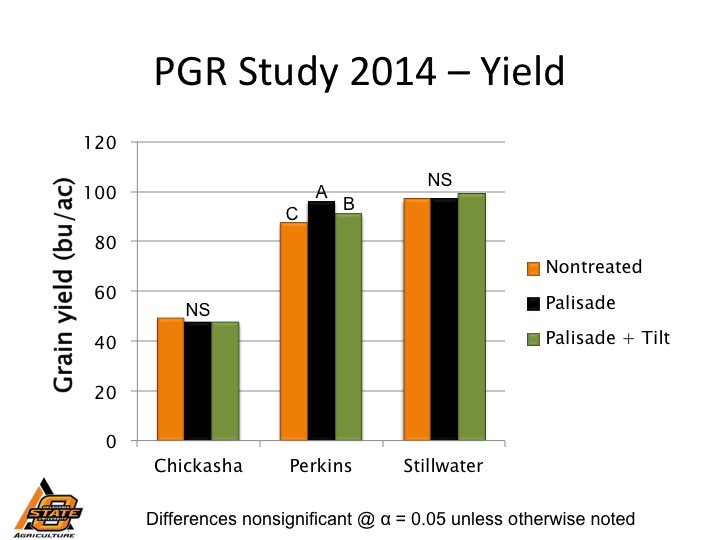 Gary Strickland (Extension Educator – southwest Oklahoma) indicated to me that he had heard reports of some leaf rust in Tillman County and also has seen a few pustules here and there on wheat in Jackson County, but nothing severe. He has seen no powdery mildew and no root rots to speak of. 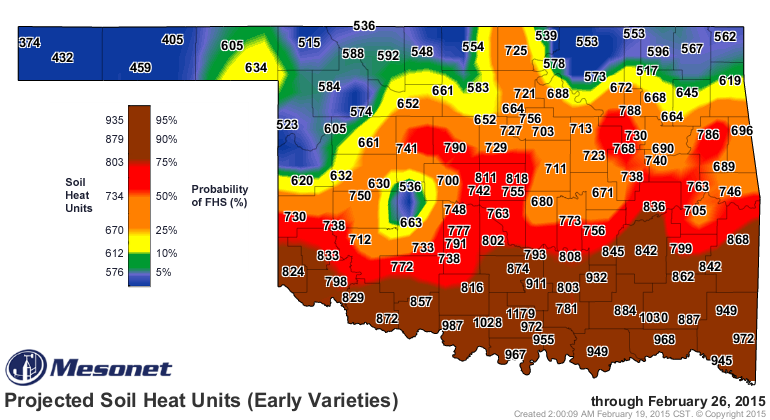 He also indicated there were a lot of acres of “little wheat” with some looking good if moisture had been received but that the southwest OK was quickly drying out. 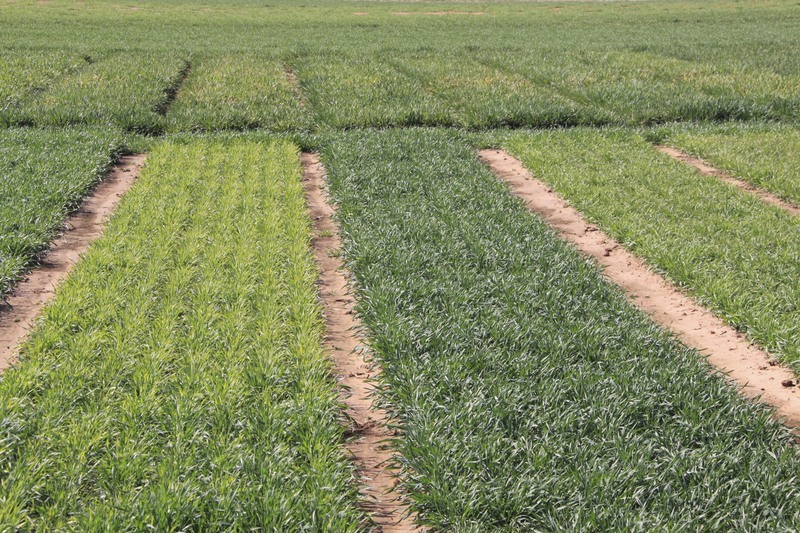 Symptoms of wheat soilborne mosaic/wheat spindle streak mosaic (SB/SS) have shown up in Dr. Edward’s variety demonstration as well as in my SB/SS evaluation nursery, but symptoms are not yet striking as the flush of spring growth has not yet started. Texas Dr. Amir Ibrahim (Prof, Small Grains Breeding and Genetics, Texas A&M AgriLife Research) 3-Feb-2015: “Wheat stripe rust found in Texas Blacklands area: On January 29th, Russell Sutton, Assistant Research Scientist with the Small Grains program at Texas A&M University and our anchor in the northern Blacklands area and northeast Texas, visited our research plots near Ennis Texas. Russell found a small hot spot of stripe rust on the susceptible variety ‘Patton’ that we use as a spreader. The spot was about three feet in diameter and the lower leaves where heavily infected. The wheat appears to have completed the tillering stage and ready to begin jointing. Russell will return in two weeks and collect some spores and look for more infection sites.